Kamal Kharrazi, the Head of Iran’s Strategic Council of Foreign Relations, said the Islamic Republic cannot accept the Europeans’ justification that they remain incapable of supporting their firms to defy the US sanctions and keep their operations in the country. 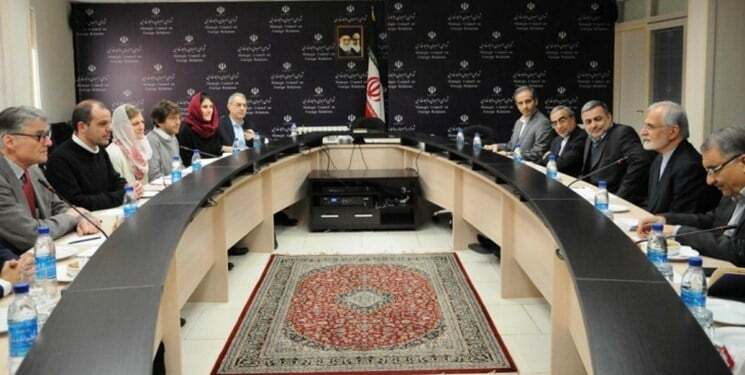 Speaking in a meeting with a delegation from Istituto Affari Internazionali (IAI) from Italy on Saturday, Kharrazi underlined that the US President Donald Trump is not after merely exerting pressure on Iran. “Trump is also after undermining and disintegrating the European Union and the upcoming Iran-focused conference slated for next month in the Polish capital Warsaw is organised to this end,” he was quoted as saying in a report by Fars News Agency. He then describes the mutual ties between Iran and the EU as significant and said the two sides dialogue on various issues is highly beneficiary for both of them. The Iranian diplomat then referred to the US violations of its pledges under the Iran nuclear deal and said Trump’s approach towards the international treaty is unacceptable under international laws. He then referred to the repeated delays of the European Union in the implementation of the Special Purpose Vehicle (SPV) and said this is not acceptable to say that Europeans cannot support their firms against the US sanctions. He underlined that the Islamic Republic has paid a heavy price for its independence and added Iran will not give in to the pressure and has already adopted appropriate measures to cope with them. For their parts, members of the Italian delegation underlined that the capacities of cooperation between Iran and Europe goes beyond the JCPOA and added Iran rightly expects the European sides to take long strides in providing the Islamic Republic with appropriate grounds to take its legal economic benefits from the nuclear accord. They added that the US has violated international laws by unilaterally withdrawing from the Iran nuclear deal and underlined that Europe is heavily dependent on the US. Iran has warned that it cannot wait forever for the establishment of the SPV. “We’ve so far witnessed that the European countries have the political will [to maintain business relations with Iran], and have not seen any sign that proves otherwise,” Deputy Foreign Minister Abbas Araqchi said last month. Iran and the EU have been discussing ways to conduct non-dollar trade in order to offset the US sanctions. On September 24, Iran and the remaining sides of the JCPOA released a joint statement announcing the setting up of the SPV to facilitate continued trade with Iran, bypass the US financial system, and avoid any impact of America’s secondary sanctions.